As a reviewer of smartphones, one of the most integral parts of judging a device lies in the gaming section. High end games are why people really care about specification. For Android, the number of cores on your SoC, the GPU, RAM and even the display play a huge part when it comes to overall game performance. With that being said, here is a list of my favourite games that you will see me use all the time to test out a smartphone. Spoiler alert, Clash of Clans is NOT on this list! 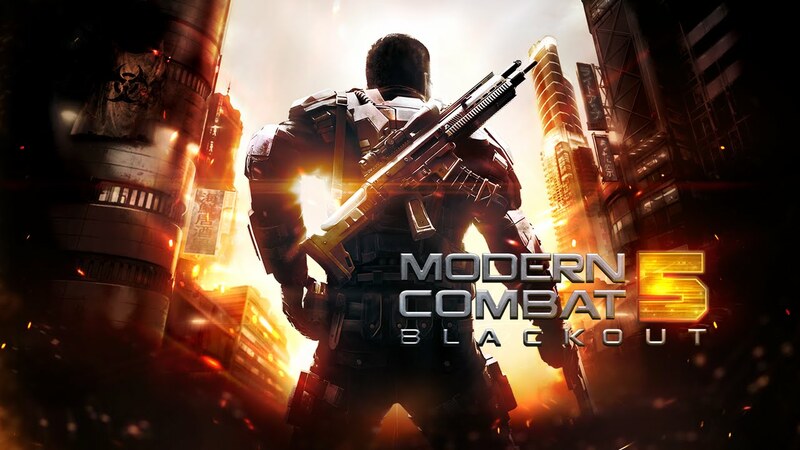 MC5 is the game I chose to mention first because EVERYONE wants to see smartphones tackle this game. 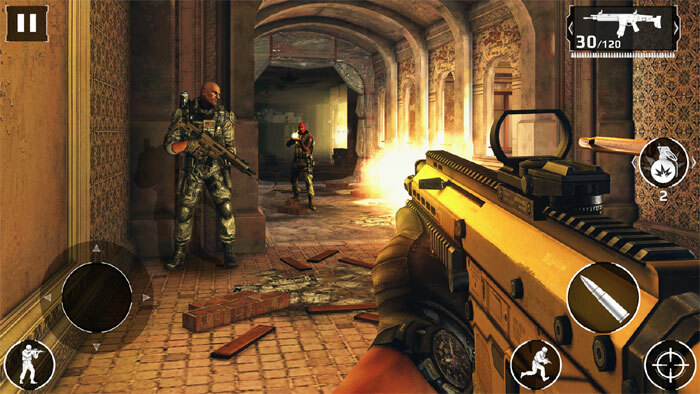 It is a first person shooter and arguably the best available on mobile right now. The game used to be a paid app but is now free to play (yes I got ripped off, yes I’m still mad about the compensation, yes I still love this game). MC5 is also probably the most intense game out there. It has very fast action taking place on screen, lots of 3D effects, awesome graphics and crazy gameplay. The story mode is very compelling but the online multiplayer is just out of this world (for mobile devices obviously). If you think your phone can handle it, go ahead and download the game since it cost nothing right now. For a very long time, this game has found itself among the top in the paid section of the PlayStore (I got my copy for free via a Halloween deal on Amazon) and rightly so. Bloons TD5 is basically a tower defence game. Generally speaking, I am not a huge fan of tower defence games but this one is an exception. The concept of the game is pretty simple, your task is to pop the balloons that are coming your way. What makes this game so addictive is that it can go on for hours on end and it will only get harder and harder. The game also comes with tons of maps, characters and awesome features that you really need to see for yourself to truly appreciate. It is not overwhelming but at the same time it is not repetitive and stale. Another paid app that I got for free from Amazon (they have a lot of sales where they give away apps for free), Monument Valley is a game that needs no introduction. It is definitely one of the most satisfying games I have ever played in my life and ironically it is a puzzle based game. This is one example where the star of the show is not the actual puzzle, rather it is a product of the masterful soundtrack, beautiful art and extraordinarily simple storytelling. Playing Monument valley is an experience, not a mere task or pastime. The game itself centers around puzzles based on optical illusions of sorts and the difficulty ranges from easy to quite challenging. At the end of the day though, playing this game will make you feel good, Monument Valley is a rare gem in this world of endless runners. Thomas Was Alone is a game that still has me searching for answers. The premise is that you are a small red block named Thomas and from what I have been able to understand, you are on a search, a search to find the purpose of your existence. Along the way Thomas will encounter numerous other objects with whom you must collaborate to pass each level. The game itself features very simple graphics and game mechanics. What makes this game truly stand out is the alluring story. With every level you will find yourself more and more inclined to figure out what is going on. Some levels are extremely challenging. Even then, I never found myself giving up because I just wanted to see where the game takes me. Last but not the least, we have one of the best racing games on mobile. I did a review of Asphalt 8 in the past and even after all this time, the game remains a staple on my smartphone. Asphalt 8 is mobile racing at its best, it is fast paced, well designed, gorgeous to look at and has plenty of levels and cars to unlock. This paired with constant updates and support from the developers has lead to a game which has not become stale. Everyone loves a racing game and Asphalt 8 brings exactly what people want to the table. So what did you think? This was just a short list of some of my favourite games that I like to play every now and then. To prevent confusion, these games are not a list of 2015 games, they are a list of games compiled in 2015 as my personal favourites. If you can, please do check the games out because they are all awesome in their own ways. Be sure to leave a comment and tell us which games you thought should be on the list and maybe next time we could even give you credits if it makes the list. Until then, Happy gaming! From these 5, only Modern Combat is worthed. Maybe I’m just fan of those games, but still it deserves thumb up.